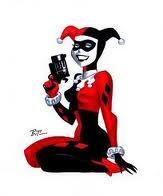 If you want to show off a Harley Quinn costume for cosplay, you can email us a photo with a small description. If you want us to take down any photos, just send us your name and filename of the jpg photo or link then we will remove it asap! Thank you for your interest!